CAIRO: Tourism has become one of the leading sectors of Egyptian economic growth and the first in terms of generating new job opportunities because of its labor intensive character and interconnections with other sectors. “Traditionally, tourism was 10% to 11% of the GDP and a very large portion of the foreign currency reserves. 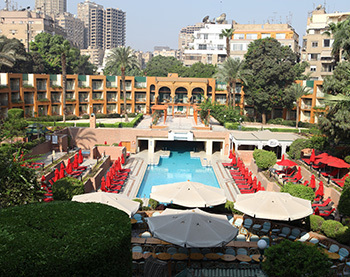 It’s no secret that in the last three and a half years it’s been severely impacted,” noted Richard S. Zeolla, General Manager of Cairo Marriott Hotel & Omar Khayyam Casino, the best hotel in Cairo. Tourism has played an important role in the economy over the past decades, and a large number of activities and associated businesses relied on tourism—air transport, services, shopping centers and souks, taxis and cruise boats, as well as restaurants and cafes frequented by tourists. Egypt depends on tourism for 20 percent of its hard currency and the sector’s total investments are valued at $9.8 billion, according to the ministry. However, the sector was hit hard because of safety concerns in 2011 when long-time strongman Hosni Mubarak was overthrown; and then in 2013 during a second uprising, which saw the ousting of President Mohammed Morsi, whose increasingly radical religious policies proved widely unpopular. Throughout this period, militants moved into the Sinai Peninsula, kidnapped tourists and killed Egyptian security personnel. There have also been numerous protests in Cairo and other cities around the country representative of many different opposing factions. Back in 2010, before this three-year span of political chaos, about 14.5 million tourists visited the country but then Egypt suffered an 80 percent decline of tourist arrivals in February 2011 as the political situation became unstable. Due to the unsettled and violent political environment, tourism further dropped in 2013. The number of inbound tourists slowed down markedly, affected by the international travel warnings coming from multiple Western countries cautioning their citizens about visiting Egypt. In early 2014, former Minister of Tourism Hisham Zaazou told the newspaper Al-Hayat that “2013 was the worst year on record for Egypt's tourism industry.” The number of tourists visiting Egypt fell by 17.9 percent to from 11.5 million tourists in 2012 to 9.5 million in 2013, according to the Central Agency for Public Mobilization and Statistics. Western Europe supplied Egypt with the most tourists, followed by Eastern Europe and the Middle East in 2013, according to CAPMAS’s latest annual report. In 2012, Western Europeans made up 37.4 percent of the country’s tourists, followed by Eastern Europe with 32.7 percent and the Middle East with 21 percent. The report indicated that the number of nights visiting tourists spent in Egypt decreased by 31.5 percent in 2013, falling from 137.8 million nights in 2012 to 94.4 million in 2013. 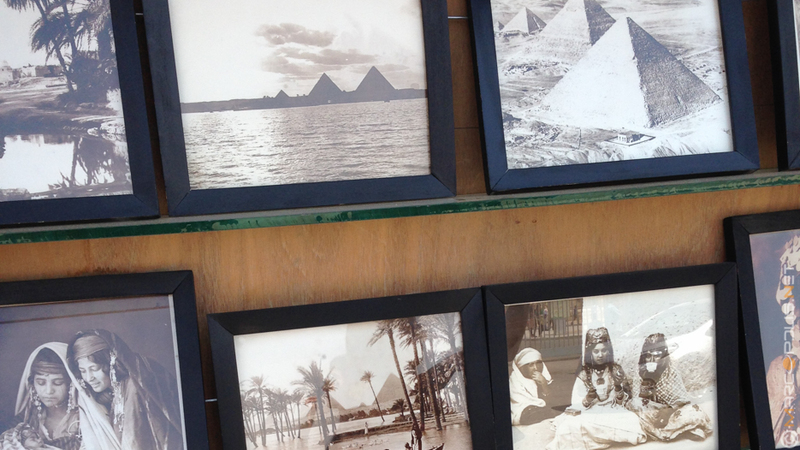 2014 and 2015 is expected to see a slow but steady revival of tourism in Egypt. Some progress has been already achieved. “If we look at the numbers during the last 3 years, we can see and analyze that the numbers have been fluctuating from up to down and so on. This shows its resilience. We have been working on planning a strong and a broader strategy about what we want and what we aim to achieve. At the same time, we are working on the tactics of realizing our goals. At the moment, the situation is much better,” stated Ambassador Nasser Hamdy, former Chairman of Egyptian Tourism Authority. In addition, "There is tremendous potential for MICE in Egypt. Especially Cairo, it’s optimally positioned for that. There are lots of things to see here. 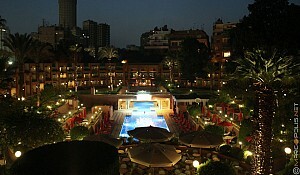 For a 3 to 7-day package, if you just do 3 days in Cairo, it’s just great. If you are going to add the Nile, 7 to 10-days is great. 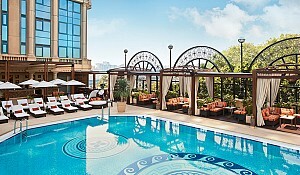 That’s perfect for MICE," noted Zeolla from Cairo Marriott Hotel. 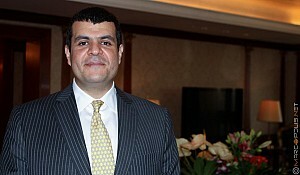 For Saudi Egyptian Construction Company (SECON), a large construction and real estate company, several of its key ongoing and future Egypt development programs are based on company confidence in the tourism sector making a strong comeback, according to Darwish Ahmed Hassanin, CEO of SECON. “Both our real estate and our tourism investments are very important for us. 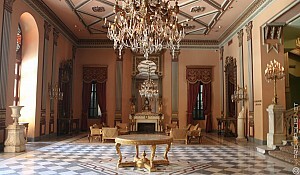 Egypt is an excellent location for both areas of investment. …we went into tourism in order to make sure our investments overall are stable,” Hassanin said. “We have started a very important project that is worth 1.6 billion Egyptian pounds. It is called Secon Nile Towers, and is comprised of two high-rise buildings of 23 floors. The Towers will be located in the Maadi Nile Corniche area of Cairo. The first tower will hold a five star hotel operated by Hilton,” Hassanin added. “We have two main destinations – the Red Sea and the White Sea, and the cultural part. The Sea was doing fine. The leisure was doing fine. Of course cultural tourism in Egypt has been affected, because all the trouble and incidents were happening in Cairo. Cairo is related with Luxor and Aswan. Thus now we are concentrating more on the cultural part. Our promotion and our activity are focussed more on countries with a big number of cultural tourists, with people more interested in culture,” explained Ambassador Hamdy. Also, “we started a campaign during summer at the beginning of May, because this is the time when you have all the Gulf countries and the Arab countries coming to Egypt. They come during the summer break, the school holidays. So, we started a big campaign called Wahashtouna, which means “we miss you”. We created a lot of packages for our friends from the Gulf area. 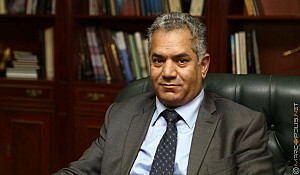 For instance, you can book a holiday to Egypt starting from 400 dollars,” added Ambassador Hamdy. Zaazou recently announced a master plan to attract 25 million tourists by 2020. Included in the ministry’s package of measure are some of the following programs: the launch of a marketing campaign showing the world that the country is safe for tourists; customized travel packages at discount prices; and the launch of an Internet marketing campaign focused on attracting tourists from Europe. In particular the online campaign will focus on safari trips to the oases of the western desert; visits to Egypt’s beaches; Nile cruise trips between Luxor and Aswan; and off-the-beaten track packages of trekking and sand surfing. Also planned are a program emphasizing green tourism; and a program emphasizing religious tourism; in the latter case, especially since Egypt is rich in such places that could attract tourists of all nationalities and denominations. In the meantime, those tourists who have already come back are finding accommodations at five-star hotels at friendlier prices, and enjoying uninhibited access to the Pyramids in Giza, the Sphinx; and in traveling up the Nile.